I and Chie chan have been to Rye, a small town 2 hours away from London. It is a pretty place of old stone pavements and winds from the port. We were both in love with the antique kitchenwares at Country Ways. these can be a name of the street in this town. then we went on top of the St. Mary's Church! 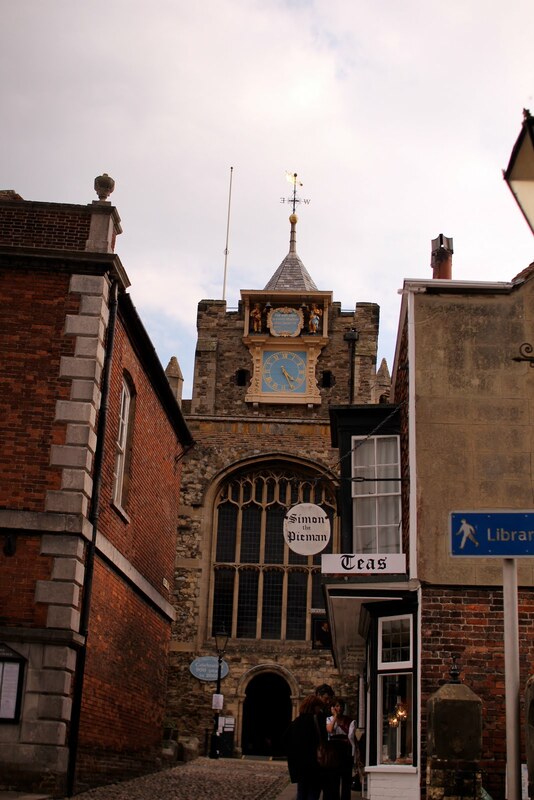 its clock is the oldest in England, made in 1561-1562.
i wish to swim on the terra cotta roofs. Genial dispatch and this fill someone in on helped me alot in my college assignement. Thanks you as your information. thanks for your comment! you are always welcome!! this is how i spent my birthday.